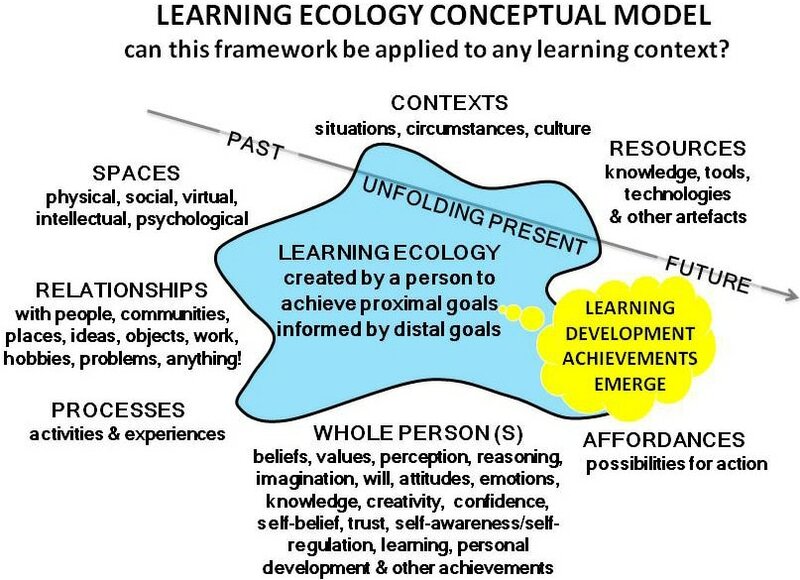 This contribution to the Jan 31st Teaching and Learning Conversations provides an opportunity to explore a bunch of ideas that try to develop an ecological perspective on higher education teaching and learning practices, particularly those pedagogic practices that encourage learners to use and develop their creativity. The session is formed around a series of concepts and propositions interspersed with activities and opportunities for discussion and feedback. ​Prior to the TLC event it would be really helpful if participants could create a short (200word) narrative or annotated sketch of an approach they have used in their own teaching practice to encourage students to use their creativity. This will provide a resource that can be analysed and reflected upon during and after the conversation.